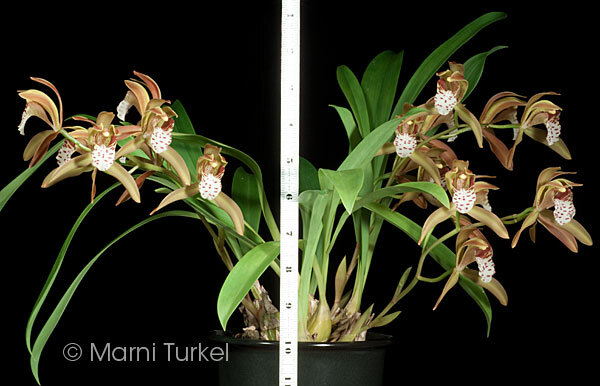 Cymbidium tigrinum #460 outcross ( '2324' x 'Stony Point') (approximately 25 seedlings per flask). 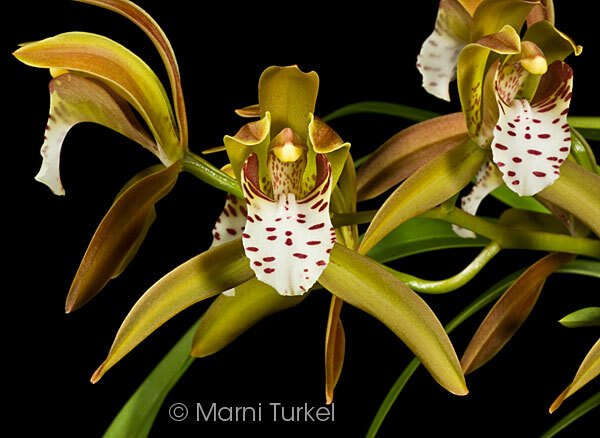 The Species: Cymbidium tigrinum, a compact and desirable species from the Himalayas. 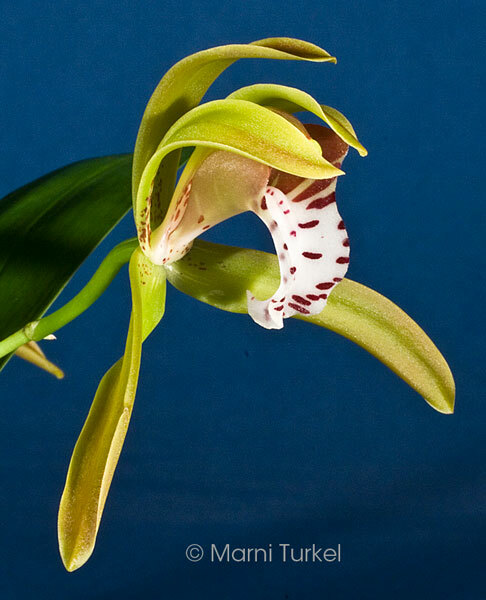 The long-lasting flowers are up to 3" wide and have a wonderful honey fragrance. It grows at elevations from 3300 to 9000 feet in northeast India, Myanmar and China. It is not hard to grow;, it is a bit trickier to bloom. Well worth the effort as it makes a wonderful specimen in a very small space. Culture: I grow it in a terrestrial mix. Summers are warm with lots of water and somewhat shaded. Winters are cool to cold with a significantly drier schedule. They do need occasional watering during the winter, but if you water too much during the late winter the forming spikes will damp off.